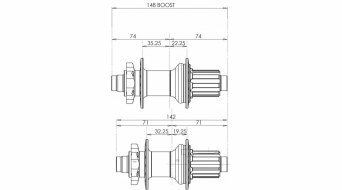 Same durability as the standard Hope Pro 4 rear hub designed to suit Boost 148mm. Hope hubs have proven their reputation for bullet proof quality time and time again. 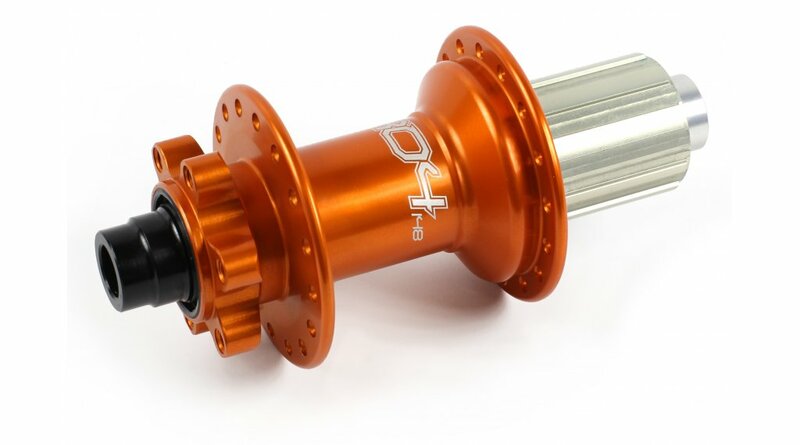 The Pro 4 QRx135mm rear wheel hub have Sealed Stainless Steel cartridge bearings. 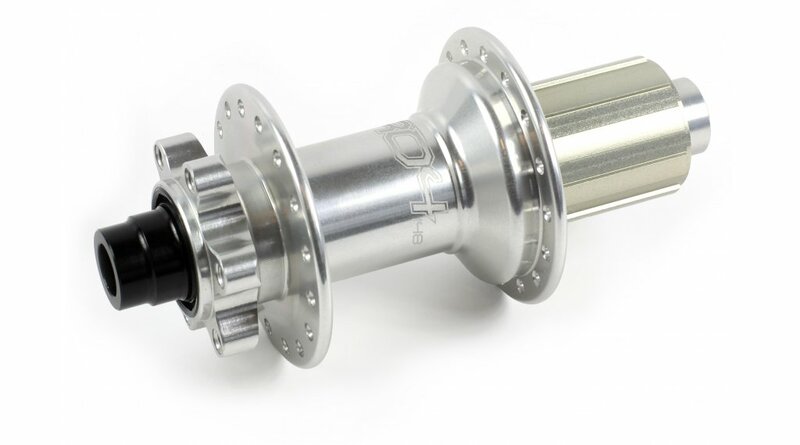 The hub shell is machined from a solid billet of 2014 T6 aluminium in Barnoldswick (England). The Pro 4 spoke flange is larger (as the successful Pro 2 Evo) to enable stiffer wheel builds. 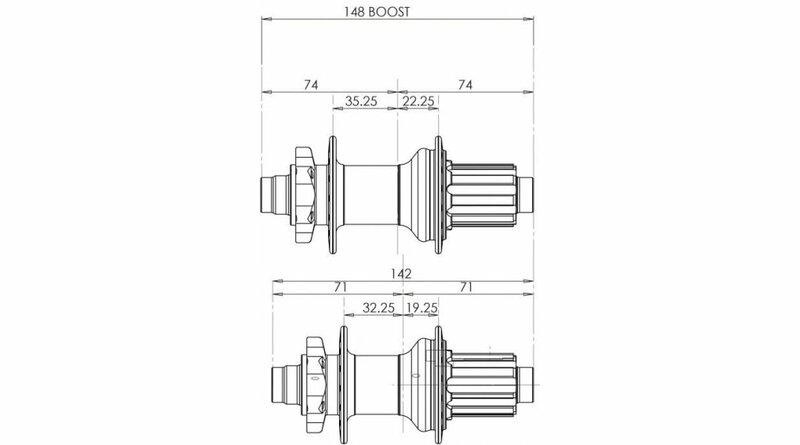 The hub flanges move outboard 3mm compared to standard Pro 4 rear hub to increase complete wheel stiffness. Note: 148mm hub uses a different wider hub shell and axle compared to standard 135mm Pro 4 rear hub.